Manufacturer & Trader of Perfo Visitor Chair & SS Perfo Chairs. Our product range also comprises of Storage Rack, Material Handling Trolley and School Furniture. 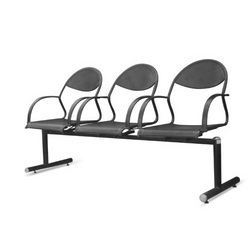 We are one of the noticeable providers of a quality grade array of Perfo Visitor Chair for our valued clients. The offered products are manufactured using cutting-edge technology and finest quality raw material. These are extensively commended by the clients for their longer service life and robust construction. Besides, offered range of products is known for its availability in different sizes. Moreover, one can get these products at leading market price.